Manufacturers of paints and coatings use AES test chambers for testing paints, varnishes, and coatings in low/high temperature ranges, humidity variations, and salt spray concentrations. Environmental testing also helps to determine the weathering (lifespan) of coatings. Coatings include architectural coatings (consumer paints) and industrial coatings that are applied at the time of product manufacture. 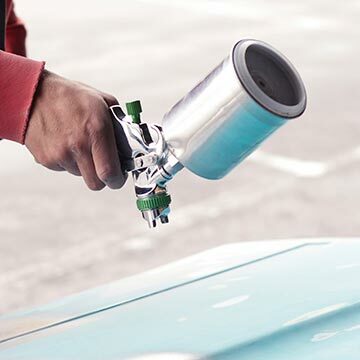 In addition, there are special purpose coatings for automotive refinishing, industrial maintenance, marine paints, and traffic marking paint used on roadways, parking lots, and airport surfaces. Some coatings are marketed for certain conditions, such as reliability in high or low temperatures, mildew or moisture resistance, or durability in salt spray. These need to be tested to verify that they conform to their intended purpose. AES provides standard and customized environmental test chambers in all sizes from benchtop to walk-in rooms.